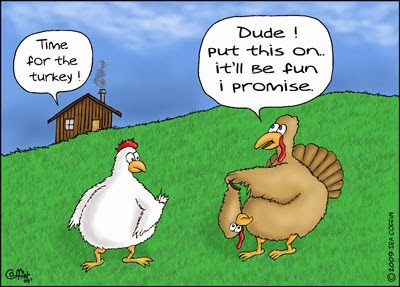 Well, Happy Thanksgiving to you and yours, and all that happy stuff. Heh. Also, I should note that the 18th annual Mission of Hope Blue Barrel Christmas Campaign has kicked off, so if you got a cople of coins or a little folding paper, why not send some over. To them, not me. We did a story about it the other day. Right smack here for that bad boy. The program, which helps children in rural Appalachia, runs from November 22nd through December 9th. Big blue barrels are set up at participating Food City, Chick-Fil-A, Kmart, Home Federal, Knoxville TVA Employees Credit Union, Sears and CVS locations in East Tennessee. The Mission of Hope could use donations of non-perishable food items, as well as new and unopened clothing items, toys and hygiene items. Right smack here for more on the non-profit Mission of Hope. Well, it was bound to happen. 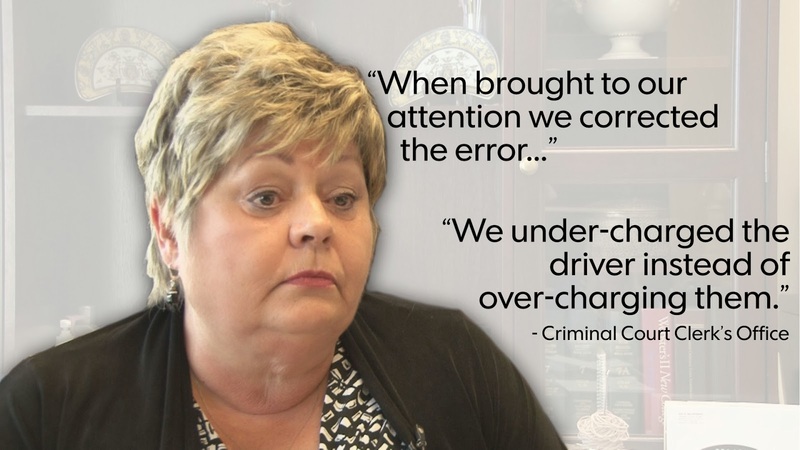 Apparently, problems stemming from the Knox County Criminal Court Clerk's Office have potentially led to a lawsuit. And yeah, the kid who is demanding $50K from the county was picked up right about the time Criminal Court Clerk Joy McCroskey went on a cruise. No, really? Crap is fallen down all over the place and she gets on a boat. Whatever. Anyhoo, you can find the documents and the story, right smack here. Knox County Mayor Tim Burchett is launching a Wreaths Across America team in an effort to raise funds to place as many live wreaths on the graves of veterans buried at the two East Tennessee State Veterans Cemetery locations in Knox County. A $15 sponsorship will pay for a wreath made of live greenery to be placed on a veterans’ grave at either the Lyons View Pike or Governor John Sevier Highway East Tennessee State Veterans Cemetery locations. There are more than 6,000 veterans buried at the two East Tennessee State Veteran Cemetery locations in Knox County. Anyone wanting to sponsor a wreath can do so by visiting right smack here and clicking on the Wreaths Across America banner. The organization is also offering a “three-for-two” sponsorship special, which means they will donate a wreath for every two that are sponsored. Pilot Flying J has also agreed to help out with a sponsorship grant of up to $5,000. The wreath sponsorship cutoff deadline is Dec. 2, and the wreaths will be placed on the graves on Dec. 14. Visit right smack here for more information about the organization. Well, it looks like rogue blogger Brian Hornback came out swinging today, pretty much answering (and denying) the allegations made in the lawsuit filed against him by Ruthie Kuhlman, the county’s GOP chairwoman. Hornback, who was sued for like a $100K in folding paper awhile back, argues that not only is Kuhlman a public figure, but the statements made by his sources were in fact accurate. He also provides affidavits by those sources attesting that what they told him was accurate. All this stems from allegations that Brian made up stuff - or printed stuff that wasn't true - in a couple of entries on his 9-year-old blog Shock and Awe. Brian says it's all a crock and in today’s legal filings seeks to have the case chunked, and also asks for a summary judgment. Additionally, he identifies some of his sources and turns over affidavits they provided, including those from bad a$$ Bo Bennett, Jacob Swisher, former county property assessor John Whitehead and Ray Meade. I don’t have a lot of time today to get into it, but it’s some pretty interesting stuff, and it looks like $&!# is getting real. Almost 40 residents on Friday picked up a nominating petition to run in the Knox County primary election, although more than half were incumbents who have already said they plan to seek re-election. The deadline to qualify is noon on Feb. 20. Pretty much every county seat, except for a handful of county commission and school board posts, the law director position and the property assessor seat, are up for election. On Friday, incumbents in most of the bigger seats, including Mayor Tim Burchett, interim Trustee Craig Leuthold, Sheriff Jimmy “J.J.” Jones, Register of Deeds Sherry Witt, Criminal Court Clerk Joy McCroskey, Circuit Court Clerk Cathy Shanks (formerly Cathy Quist), Public Defender Mark Stephens, and Clerk Foster Arnett Jr., picked up petitions. Of those seats, three potential candidates – Charles “Sam” Hammett Jr, Bobby Waggoner and Donald Wiser – picked up petitions to run for sheriff. Wiser also picked up a petition to run as an independent for the register of deeds seat. Randy Nichols, the current district attorney general and a Democrat, does not plan to seek re-election. Charme Knight, a Republican in his office, does. Candidates need to meet certain qualifications to run for office. In addition, they need 25 signatures from registered voters who can vote in that particularly race. The primary is May 6. The general election is Aug. 7. So far only three people picked up petitions to run for County Commission seats. Bo Bennett, who ran for the city mayoral post a few years ago, got a petition for the seat currently held by R. Larry Smith, as did Steve Rogers, who challenged Smith in 2010. In addition, Bob Thomas plans to seek the at-large seat held by Mike Hammond, who has announced his intentions to run for the criminal court clerk post. Three incumbent school board members – Gloria Deathridge, Lynne Fugate and Pam Trainor – picked up petitions. Newcomers Terry Hill and Tamara Shepherd got petitions for the seat currently held by Thomas Deakins, who has said he doesn’t plan to seek re-election. The school board seats are non-partisan. You can find the entire list right smack here. Today is the first day for a candidate to pick up a nominating petition to run in the Knox County primary election. The deadline to qualify is noon on Feb. 20. Pretty much every county seat, except for a handful of county commission posts, the law director position and the property assessor seat, are up for election. Click right smack here for what you need to do to qualify. And right smack here to check out who has picked up petitions. Knoxville lawyer Billy Stokes today announced that he will seek the office of Judge, Knox County Circuit Court, Div. 1, bringing the total of Republican candidates at this point to three. "My career as an attorney has enabled me to serve both in private practice and government service," Stokes said in a statement. 'there is no more important, responsible or accountable position in our justice system than the position of Judge. After consulting my family and members of my firm, I believe I can do the best job in this role for the people of Knox County." According to the rest of his release, Stokes has practiced law in Knox County for more than 30 years, with most of it at the Circuit Court level. He was a Captain in the U.S. Army, Judge Advocate General's Corps (JAGC) and served in the Tennessee governor's cabinet and on senior staff. Early in his career, he work for the Knoxville Police Department, the Knox County Juvenil Court and the East TN Regional Juvenile Detention Center. He is currently a shareholder in the firm, Williams, Sharp, Davies, Cope & Mann, P.C. In addition to Stokes, local attorney and former county GOP Chairman Ray Jenkins and attorney Kristi Davis, who represented the family that got yelled at by a judge for naming their kid "Messiah," are running for the seat. Also, from what I understand Knox County Assistant Attorney General Leland Price will run as a Democrat for a Criminal Court Judge seat (different race). Local attorney Kristi Davis today announced her intentions to run for the Knox County Circuit Court Division I seat to succeed Judge Dale Workman who recently announced his plans to retire. Davis, a partner with the firm of Hodges, Doughty & Carson, will hold a kickoff fundraiser in early January. She grew up in the Karns community and received her undergraduate and law degrees from the University of Tennessee, with honors. She represents both plaintiffs and defendants in employment law, workers’ compensation, general civil litigation, and appellate matters. She has been active in the community, serving on the American Heart Association’s Circle of Red, the Board of Directors for Friends of Literacy, and an Advisory Committee for Pellissippi State. Knoxville attorney and former county GOP chairman, Ray Jenkins, also will seek the position. The Republican Primary is set for May, and the general election is set for August. If you haven't seen it, we did a story last night touching on allegations that some county employees are "gaming" a system to get handicapped hangtags, so they can park for free inside the City County Building. Folks, this is an awful thing to do. Man, seriously. There's a nice hot place for you in the afterlife if you do stuff like this by the way. Anyhoo, there's a ton of elements to the story. Here's the beginning, and you can find the rest of it right smack here. A number of Knox County leaders suspect government workers are cheating a system that allows them to obtain and keep handicapped hangtags so they can park for free inside the downtown City County Building. 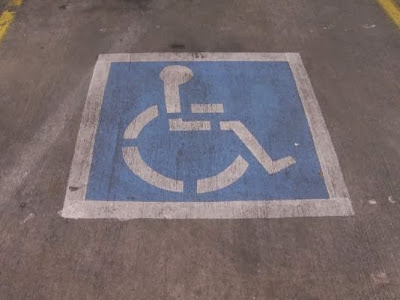 Now local leaders want to discourage that by changing state law to allow them to charge disabled employees for parking privileges. They say the move would add dollars – at least $43,000 annually – to the coffers and prevent some workers from jumping ahead of employees who park elsewhere and have waited years for the coveted garage spots. It also would be more equitable, overall, for the employees who work in the City County Building, the headquarters of local governmental operations. Woo-hoo, oh boy, ol R. Larry Smith had another good one in today's News Sentinel. After last night's meeting, in which the board talked about travel, KNS reporter Gerald Witt asked Smith why he drove to Nashville twice (which cost taxpayers $416 when - presumably - he could have picked up a phone and called). According to the article (right smack here), Smith "said "he went to the state comptroller on a whistle-blowing trip that led to the ouster of former Trustee John J. Duncan III." That office has nothing to do with CTAS payments, which were the cause of Duncan's downfall. Further, R. Larry got almost all his information from the articles I wrote. Whistle-blower. Sure. I broke the story, I first reported that someone else took tests for Duncan, and I was the first to write about the TBI investigation into the office. I am not bragging. That's just what happened. Along with the way WBIR also did some good reporting. They even had a scoop or two in there. Also, I think WATE reported about a showdown between Smith and Congressman Duncan, which Smith probably blew out of proportion, but whatever. Anyhoo, I say this because, well, someone has to tell the truth. 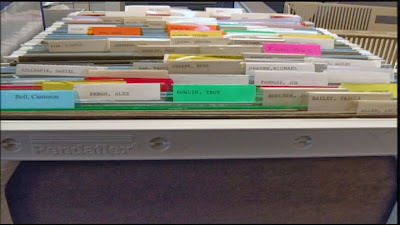 The investigation originated from the local District Attorney's Office. Not R. Larry Smith. In the meantime, there were some fireworks from last night. You see, after Commissioner Amy Broyles nominated someone other than R. Larry to lead the board, he got upset. Right around that time he started trying to sell his story to the press that she traveled more than any other commissioner. (Another lie by the way.) A few news outlet bit. Knox County Mayor Tim Burchett today outlined a solar energy initiative that will soon go before the Knox County Commission and the Knox County Board of Education for their consideration. He was joined at the announcement by Knox County Schools Superintendent Dr. Jim McIntyre. If the initiative is approved by the Board of Education and the Commission, it will create a revenue stream for both the Knox County Schools and Knox County Government while also generating solar energy that would be used on TVA’s power grid. As part of the project, Knox County and the Knox County Schools would partner with Efficient Energy of Tennessee to install solar panels on top of several Knox County and Knox County Schools buildings. The panels will collect solar energy, which Knox County and the Knox County Schools will sell to TVA. The initiative is similar to one implemented in Campbell County several months ago. Since the panels were installed on a dozen Campbell County schools, the revenue generated has outperformed estimates. Since 2011, the average price of solar panels has dropped by 60 percent, according to the Solar Energy Industries Association. Knox County and the Knox County Schools would issue bonds to purchase the panels. The bonds would then be paid with revenue generated by the panels and sold to TVA. There would also be a 15-year performance guarantee backed by EETN, which would guarantee a minimum annual revenue amount to the County and the Schools. Currently, several Knox County Government and Knox County Schools buildings are being evaluated for solar installations. Any facility identified and approved for installation would be fitted with a 49.5 kilowatt array. Apparently that whole Common Core thing isn't as rosy as Lord McIntyre wants everyone to believe. Parents around the country are protesting Common Core by keeping their kids home from school today. You can find the bad a$$ article right smack here. In New York, the first state to implement the program, state education leaders are already beginning to back off their support for it after complaints and a big drop in test scores. Then there was the wisdom of U.S. Secretary of Education Arne Duncan who over the weekend dismissively indicated that concerns about Common Corer were primarily from white suburban moms finding out that their kids were not as smart as they originally thought. Heh. Reminds me of a certain commissioner. Knox County Mayor Tim Burchett has set up a press conference today to talk about a "solar initiative" that's supposed to be discussed during today's County Commission luncheon and by the Board of Education. There's not a whole lot of details other than it will take place at 10:30 a.m. at Knox Central. The City of Knoxville today formally assumed control of six properties on West Jackson Avenue, including the historic McClung Warehouses, according to the latest spin job coming out of the Death Star. 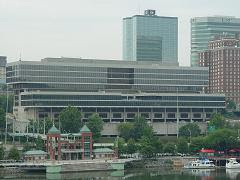 Under an agreement signed by the bankruptcy trustee for the properties, Knoxville paid $1.45 million to settle an outstanding lawsuit and acquire the land and buildings. The properties, on West Jackson between Gay Street and Broadway, were formerly owned by Mark Saroff and have been in receivership since 2010. The total area of the six lots is about 1.7 acres. City Council approved the terms of the agreement in July, and U.S. Bankruptcy Court Judge Marcia Phillips Parsons approved it on Oct. 25. The titles are now legally held by Knoxville’s Community Development Corporation (KCDC), the City’s redevelopment authority. The City will soon issue a bid for short-term stabilization of the buildings, to protect them from further water damage and trespassers. City officials will also begin the process of developing a Request for Proposals from private developers, with the goal of returning the properties to private ownership sometime in 2014. 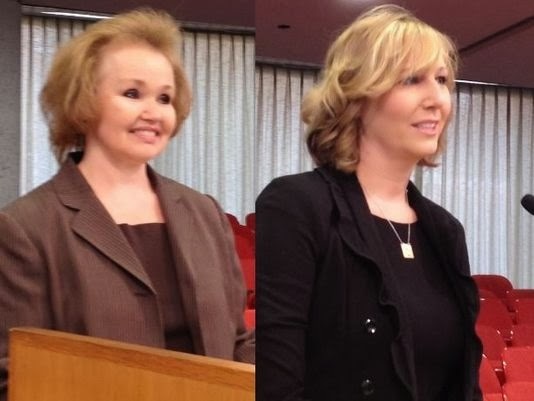 After two hours of interviews, the Knox County Audit Committee on Thursday picked two potential candidates – both work for the Tennessee Valley Authority – to take over the county’s internal auditing department. The committee selected Andrea Williams, a compliance advisory support senior manager, as the top selection, and Cindy Kington, who serves as the eastern region manager of distributor compliance. The recommendations will now go to the Knox County Commission later this month for final approval. The committee suggested a salary of $114,100. Roughly 20 candidates applied for the job, but the committee picked only four to interview publicly on Thursday. The new internal auditor will oversee a $257,000 a year operation that includes three employees, and routinely looks into and analyzes county finances and various county departments. The auditor reports directly to the County Commission, but also answers to the Audit Committee. The new auditor will replace Richard Walls who stepped down in August after accepting a severance fee that covered four months of salary. Well, looks like the Man with the Badge - Sheriff Jimmy "J.J." Jones - will have an opponent in his re-election bid. Bobby Waggoner, a retired chief of detectives in the sheriff's office, officially announced today his intentions to seek the office. He will talk more about it tomorrow at 1:30 p.m. on Market Square (at the women's suffrage statue) when he holds his campaign kickoff. That's about all I got. The news release wasn't really that long. In October, Jones held his kickoff in front of like a gazillion people at Lakeside Tavern at Concord Marina. The guy is a political powerhouse. I don't really expect this one to be close. But well, who knows . . .
Anyhoo, both are Republicans, so they'll face off in the May primary. The general election is set for August. Jones took office in 2008 and won re-election in 2010. If he wins, this will be his final term. 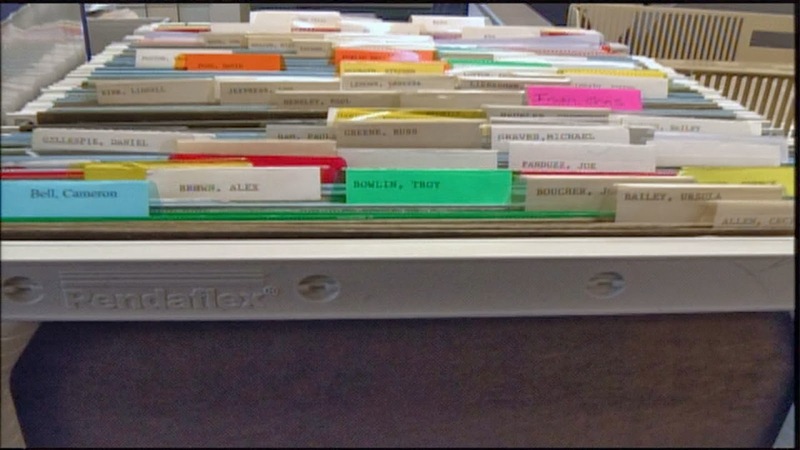 So all these media folk are drowning the county finance department in record requests, asking to look at travel for departments, elected officials, your mama, whoever. Anyhoo, figured I’d get in on this. The reality is, people freakin’ travel and you’re going to pick up the tab. It’s typically for continuing education. And yeah, every now and then you get someone who wants to be a little sneaky, maybe play a round to two on the links. Go to the bar. Go to wherever. So, click right smack here for a list of more than 30 departments and how much they spent on travel and education in fiscal year 2011 through FY 2013, and so far this current fiscal year, which started July 1. Again, feel free to browse; I’m not breaking it down for ya. Other than to say that overall costs have dropped each of the past four years, and the public defender’s office still continues to hold the top spot. The property assessor is up there at almost $11,000 along with the attorney general ($9,000); Planning & Development ($9,000); Purchasing ($6,700); County Mayor ($6,650), Juvenile Court Judges ($6,500) and . . . I gave you way too much. Again, click right smack here. And remember, the Knox County Commission approved these budgets. Without asking questions. Knox County Commission Vice Chairman R. Larry Smith sort of issued an apology to fellow board member Amy Broyles tonight. He kind of muttered something anyway. I tried to get clarification from him, but he ran like a chicken (bawk, bawk, bawk), first to the bathroom, then to his cell phone, then to a group of people (who ignored him) before finally stopping and saying “not to you,” when I asked if he’d comment. Later he told another reporter that he’d make a comment about his weak apology and the disparaging remarks he made about women’s issues. But, only out of earshot of me! The board next Monday will take up the matter of commission travel. R. Larry, who proposed it, didn’t want to talk about it tonight. He wanted to wait until Commission Chairman Brad Anders was there. Awhile back, Anders asked to move a commission meeting because he knew he would be able to attend. Smith sent an email to the commissioners, saying that it would be the job of the vice chairman to take over. Guess that’s not the case anymore. 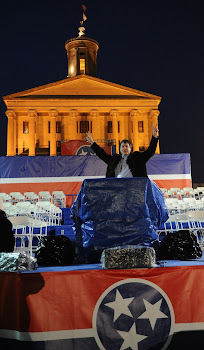 Now, word going around is that folks – or R. Larry at least – should expect some fireworks. You know, cause he insulted every woman in Knox County. Already, Kim Lauth, president of the League of Women Voters of Knoxville and Knox County, wrote a letter “strongly” disagreeing with some of the good commissioner’s assertions; and then more than a dozen residents sent emails to the board’s office expression their disapproval. From what I understand some more folks are going to stick to him tomorrow during the public forum. We’ll see, I supposed. Tuesday's work session starts at 2 p.m.
Well, looks like Knox County school system rubble rouser Tamara Shepherd has announced her intentions to run for Board of Education 6th District seat. The spot is currently held by Thomas Deakins, a former board chairman who has said in the past that he will not run again. I think I’ve met Tamara. I know I’ve talked to her on the phone. I know I don’t always agree with her, and I think in her research she goes down the wrong rabbit holes, albeit, always with the right intentions. That said, she does actually research the issues, she cares about local education and she will NOT be a yes-woman for Lord McIntyre, school superintendent. The beautiful people will no doubt field a candidate and pump a bunch of money into that person’s campaign. They do not want someone like Shepherd on the board. It’s bad enough Mike McMillan doesn’t toe the line. One more? That means it’s worse. Three more after that? Well, we all know what happens then. District seats 1, 4, 7 and 9 also are up for re-election. School board seats by the way are not term-limited. They also are non-partisan. Today is Veterans Day. Try to remember why we honor it. In the meantime, Randy over at Knoxviews gave me this idea: The U.S. Department of Veterans Affairs has the history of today's holiday on its website. You can find that right smack here. Also, check out this link for a list of where, locally, veterans can get free meals, haircuts, car washes, etc. today. And, as a reminder, Knox County offices (non-essential ones) are closed today. City offices are open. This is what the Death Star main floor looks like at 3 p.m. on a Friday right before a Monday holiday. Heh. It’s like: Hey, we don’t have to work on Monday, so let’s just not work from 3-5 p.m. on Friday, either. Heh. There are some folks around, but really, you’re more likely to run into tumbleweeds. 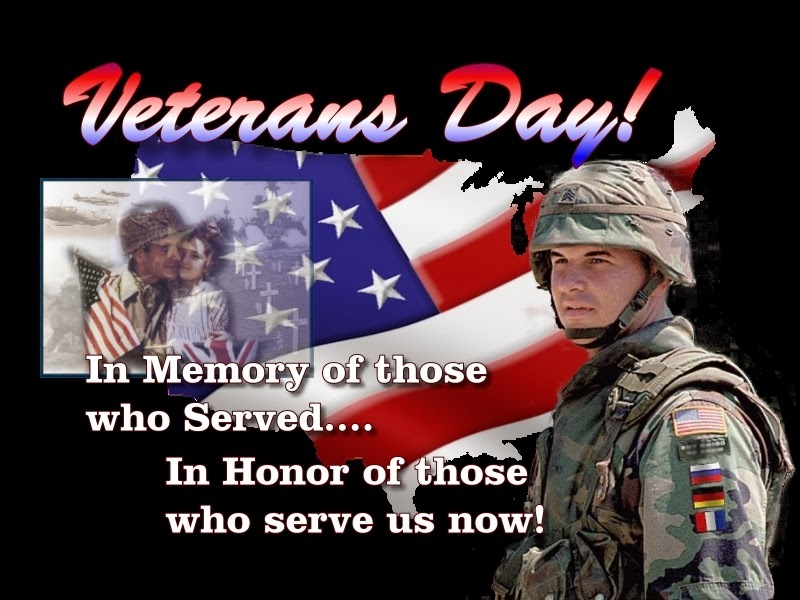 Anyhoo, the county will be closed Monday for Veterans Day. The city is open. Not sure how that works. So, uh, what do you do when you’re under fire for running what officials believe is a shoddy shop and you’ve managed to pretty much tick off the kinds of people in life you don’t really want to – you know, judges, law enforcement, prosecutors, etc? Now, you can say: Well she booked that sucker in advance, so she should go. Well, yeah. You can say a lot of things. And hey, I’m not judging anyone. Especially someone who’s missed pretty much every other Friday this year. Yeah, they don't believe in computers. Heh. 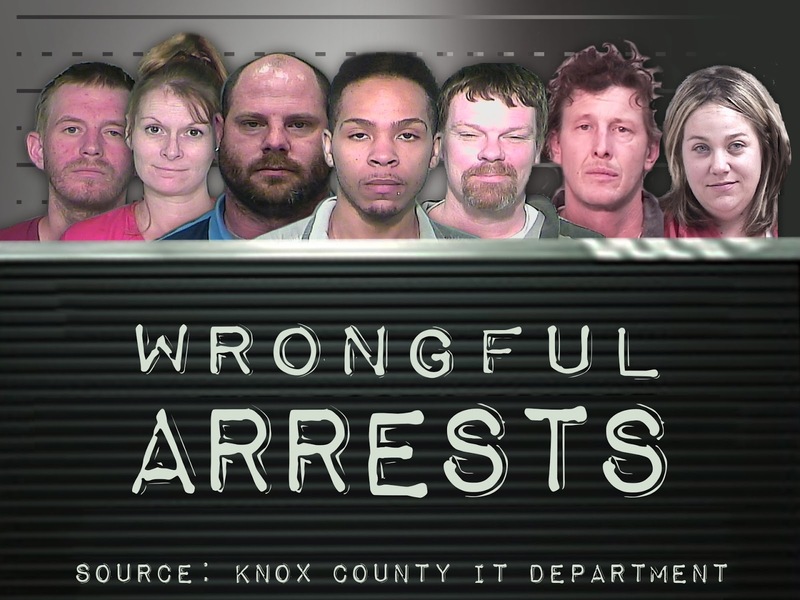 A short-supply of technology and training inside the Knox County Criminal Court Clerk's Office has created a series of problems that's led to wrongful arrests, cases set aside due to errors and residents temporarily losing their right to vote, officials and former employees say. Now, the Knox County Commission wants to look into what role it can play to help solve some of the problems. Officials during the board's Tuesday's work session plan to talk about auditing the office, and whether to use technology reserve funds to cover the costs. The account, according to county Finance Director Chris Caldwell, has gone uptapped for at least three years and has roughly $132,000 in it. Click right smack here for last night's bad a$$ story. Last night we did a story about the inconsistencies in Knox County’s auto allowance travel program. Some 18 people get allowances that cost a combined $81,200. Yet, some 160 people can fill out travel reimbursement forms (using the federal system’s template) and cost about $82,000. And don’t even get me started on the school system. That city stuff is odd, too. We’ve got links over there. You got at least one person who lives downtown and walks to work, but that person gets an allowance. Heh. Anyhoo, right smack here for the story. Well, looks like those comments made by Knox County Commission Vice Chairman R. Larry Smith aren’t going away. You may recall that yesterday, the good commissioner questioned fellow commissioner Amy Broyles’ travel expenses. So, folks have been emailing the county commission office, expressing their dismay. Folks are calling the remarks “appalling,” and “lame and insipid,” and etc. “Your self-indulgent ignorance is stunning,” a person said. Well, he wanted a story when he stooged some media outlets into covering it. I just don’t think this is the story he wanted. You can find nine of the emails, right smack here. More continue to come in to the county and the media, but I don’t have time to put those up. And, well, you probably get the point. In the meantime, tune in tonight. We'll have a story about travel that's actually relevant, and something Smith thinks is a good idea. Heh. Yeah, I kind of figured that there would be some push back after County Commission Vice Chairman R. Larry Smith made that remark about women. Heh. I blogged earlier today about it, right smack here. A recent comment by Commissioner Larry Smith challenging Commissioner Amy Broyles’ attendance at the Tennessee Economic Summit for Women, hosted by the Governor’s Economic Council for Women, was more than surprising. According to the Knoxville News Sentinel, Commissioner Smith characterized the meeting as a “women’s conference,” and questioned how women’s issues will improve government decision-making. The Economic Council includes state senators and representatives and members of the Governor’s cabinet, presented research at the Summit demonstrating that Tennessee spends more than $885M annually as a result of violence against women -- a significant impact on taxpayers. The Council released the report following public hearings held around the state, which Commissioner Broyles attended along with District Attorney Randy Nichols, the TBI, local law enforcement, and others. The League strongly disagrees with Commissioner Smith’s implication that having the lone woman on Commission attend a State-sponsored Summit on women’s economic issues would have no bearing on county government decision making. With women representing 51.3% of the County’s population, we believe that the information Commissioner Broyles was able to obtain to be highly relevant to decision making in Knox county government. The League stands on the principle of good government. We believe that we only have good government if we have well informed officials who continue to educate themselves on important issues throughout their terms of office. So, we talked to Sessions Court Judge Andrew Jackson VI yesterday about the problems in the Criminal Court Clerk's Office. Jackson and the other four sessions court judges met with clerk Joy McCroskey to listen to her game plan. In the meantime, I'll believe it when I see it. Broyles goes to conventions. Yawn. Well, credit to Knox County Commission Vice Chairman R. Larry Smith for tooling a couple of media outlets into reporting that Commissioner Amy Broyles – one of his political foes – goes on trips. Yes, trips that he as a commissioner approved when he blindly – like most commissioners – approved the budget. Now, before I really get into it, this entry isn’t to disparage R. Larry. It’s just a look at the inside baseball of politics and how it works sometimes. I don’t really have a dog in this fight. Personally, I never saw the story in the story. Hell, I told R. Larry that months ago. In fact, we reported the real story. It wasn’t what Broyles attends, but rather what she doesn’t: meetings. Now THAT was the story. Politically, it was an interesting move. On one end it was savvy that he convinced some reporters to That’s usually smart politics. But, not this time. This time he pretty much insulted women everywhere. Also, credit to KNS reporter Gerald Witt. In his lede sentence, he notes that Smith “is targeting” Broyles. WATE’s story made it out like there was some huge uproar of officials. No, folks. It was one official. Smith’s move pretty much killed any chance he had at a school board seat. Most teaches are women. Yeah, they vote. The good commissioner, according to Witt, also said commissioners “should enter office ready to do the job. Smith also is rumored to run for the Register of Deeds gig next year. I wonder if he – or anyone else who is thinking about challenging Sherry Witt (no relation to Gerald) – knows what it entails. Does he know how to oversee $2 billion in real estate transaction each year? What about $4.5 billion in lending? Again, not to disparage R. Larry. But rather to point out what is no doubt going to be political ammo when he decides to run for office next time. It’s also probably a lesson to Broyles (not that she will care): Next time the commission chairmanship is up, don’t nominate someone other than R. Larry. I always forget to put these things up. Anyhoo, the county's IT Department yesterday publicly released a series of audit trails for seven specific cases that Knox County Criminal Court Clerk Joy McCroskey turned over to commissioners last Monday. Find the story along with links to the reports, right smack here. On Monday, embattled Knox County Criminal Court Clerk Joy McCroskey turned over some mumbo jumbo to the Knox County Commission that was supposed to defend herself against the mean ole media that's been picking on her. I guess she didn't expect anyone to vet the BS she gave the board. Well, we did. You can find last night's story right smack here. And let me tell you, time stamps don't lie. When you change information in the system, it tells who did it and when. The 47-page she provided contains mistakes, bad data and misleading information.Supposedly, she and her teams spent a week putting it together. But it looks like it was done in a night. Well, anyhoo, according to KNS reporter Jamie Satterfield, bad guys and traffic scofflaws actually owe Knox County $158 million! Yeah, big freakin' difference. Click right smack here for the story, so long as you're a millionaire and can afford the new pay wall subscription. Heh. So, what's the deal with the $18 million? Well, that only represents the debt from one court. (McCroskey oversees three - criminal, sessions, Fourth Circuit.) I suppose then, she didn't actually lie. But rather told a one-third truth. But, seriously, with that amount, the County Commission should probably get at least two debt collectors, rather than just the one.